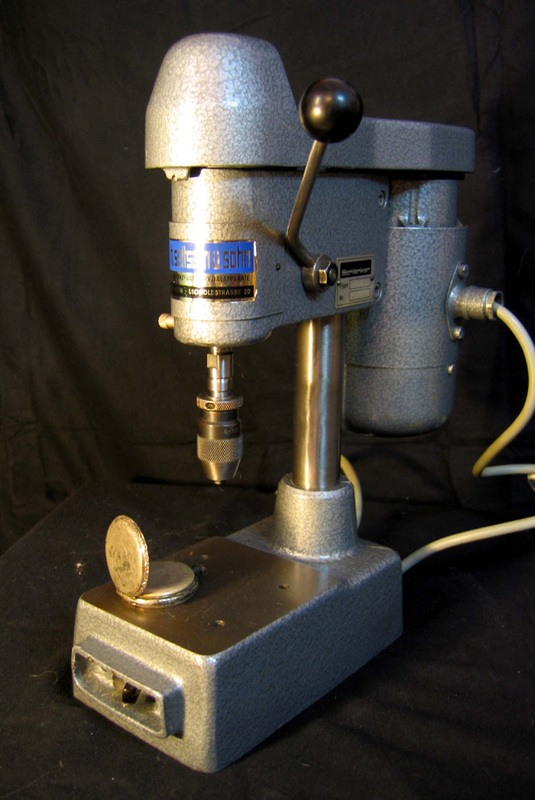 A small bench-top drilling machine is good, for example, to drill a hole in a iron plate. Then I saw out with a jig saw the necessary part. This machine is for fine and precise drilling. 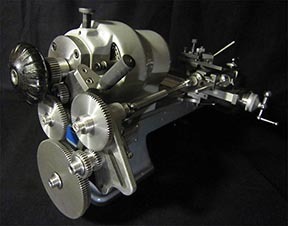 The hardened and polished spindle put in combined bearings and is equipped with clamp for collets 8 mm. You can also use the chuck. 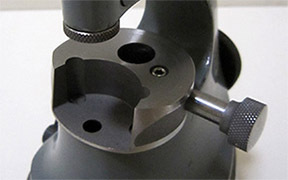 The depth limiter has a Ring-micrometer, accuracy 0.01 mm. There is holes with thread M6 to clamp the workpiece on the work plane. 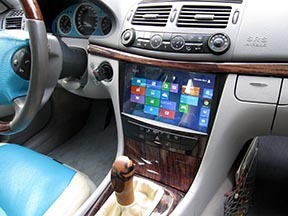 The machine is driven by a 380 volt three-phase motor. The Swabian engineers Thilo and Uli Huber moved the company Hans Schlenker from Villingen-Schwenningen (Schwarzwald) to Berlin.